Right about now you’re probably abandoning your New Year’s resolution, which means it might be a good time to think about hiring a #personal trainer to keep you on track. When you’re paying good money to have someone keep you in line, you’re much more likely to do what that person tells you. But that doesn’t mean you can just plop “personal trainer” and your ZIP code into your favorite search engine and hit “buy.” You need to do your homework to make sure the person you hire is qualified and able to get you to your goal. The biggest problem is that, according to most fitness experts, the majority of personal trainers are not qualified. Unfortunately, the personal training industry is not regulated — so it’s basically a free-for-all. Right now you can study for one hour, pass an exam online and call yourself a personal trainer. That’s not very reassuring when you’re spending your hard-earned money. That said, research demonstrates that using a “qualified” personal trainer will give you a much greater chance of getting into better shape than exercising on your own. The trick is finding someone who will really help you — not just keep you company for an hour. Research and Recommendations: Go online and look at the websites of personal trainers in your area as a start. Also, try to get recommendations from friends and family. Be cautious: Friends and family tend to oversell the professionals who work for them in order to validate their choices. But recommendations are still a good place to start. You can also contact your local fitness facility, but keep in mind that they charge for use of the facility plus the trainer’s services. 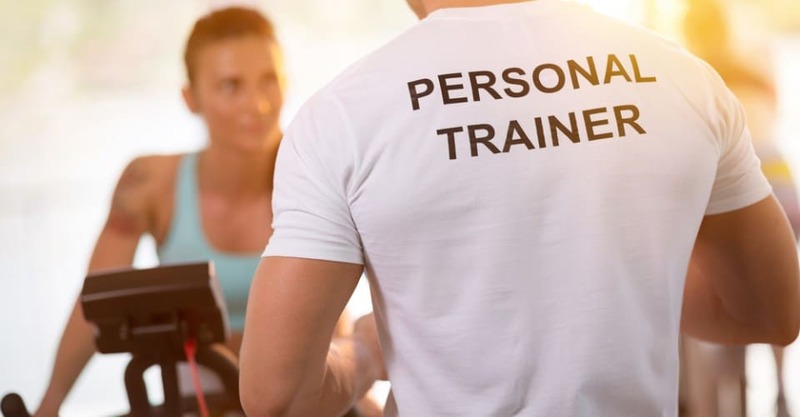 Certification: There are no state or federal licensing requirements for fitness trainers, and there are hundreds of certifications available, so how do you know who is a “qualified” personal trainer? Trainers should be certified with one of the following: the National Academy of Sports Medicine (www.nasm.org), the American College of Sports Medicine (www.acsm.org) or the American Council on #Exercise (www.acefitness.org). Personal trainers/fitness specialists should also have an educational background in exercise science, kinesiology, cardiac rehabilitation, biomechanics or adult physical education. Oh, and one other thing — if the trainer does have a certification, make sure to check that it is up-to-date. Get References: Get testimonials from the trainer and don’t be shy about asking for the names and phone numbers of other clients with goals similar to yours. Call to see if they were pleased with their workouts, if the trainer was punctual and prepared, and if the client felt that his or her individual needs were addressed. Conduct an Interview: You need to do an in-person interview, and have a series of questions prepared in advance. If someone it too busy, they’re probably not the best for you. Especially if you’re a beginner. The typical consumer may know to ask about certification, but you shouldn’t stop there. You cannot be shy or intimidated. The interview is a crucial first step to establishing a relationship with your personal trainer and cannot be overlooked. What should you ask about during the interview? – How many years’ experience does he or she have? – Training approach and strategy — how will it work and will it work for you? – Availability — are the trainer’s hours convenient for you? – What kind of evaluation will you undergo — a physical performance test? A medical history form to fill out? – Will the personal trainer be assisting you in developing short- and long-term goals? – Does he or she have an area of expertise and/or client preference? The American Council on Exercise (ACE) recommends that you ask about client preference, such as sports conditioning, prenatal fitness or post-rehabilitation. – This is also the time to find out if you feel comfortable with the trainer. Does he/she listen to you? Let the personal trainer talk – the more he or she talks, the more information you’ll gather. Gender: Does gender matter to you? If so, make sure it’s for the right reasons; you’re not there to date your trainer. More Than a Babysitter: Make sure your goals for working with your trainer go beyond “making” yourself get to the gym. Yes, extrinsic motivation is great, but in order to have long-term success and create a real lifestyle change you need to adopt a new mode of thinking so that you learn to create your own motivation and commit yourself to regular physical activity. The trainer should work with you to find out what will push you to work out. Also, steer clear of trainers who are just wasting time. After several weeks of instruction, you don’t need someone to stand by the treadmill and make small talk — especially not someone you are paying. I often see personal trainers spending more time chatting about a date they had the night before than talking about techniques and strategies. Trainers Are Not Nutritionists: Although most top trainers have had some nutritional training, be wary of taking nutrition advice from a trainer. If your trainer tells you to take supplements and/or recommends a product that doesn’t sound as if it fits with generally accepted nutritional principles, check with your health care provider first. In fact, you should make sure that any eating regimen is safe before you start – probably talk to a registered dietitian. Do They Practice What They Preach? Although it’s not a requirement and certainly not the most important quality to look for, you shouldn’t overlook the your personal trainer’s own level of physical fitness. After all, you want someone who lives the lifestyle you aspire to achieve. The trainer doesn’t need bulging muscles, just a decent physical appearance. Define the Length of Your Relationship: Most experts agree that personal trainers should be good enough to work themselves out of a job. Therefore, you might want to start out by working with someone for 10 weeks to six months. Create a clearly defined path to reach your goals. And make sure your regime doesn’t get repetitive. Is It Really Personal? Does it seem as if your trainer is “just going through the motions” or giving all clients the same routine? Your trainer should work with you to understand your body and its needs and use that information to develop an individualized program. Keep It Fresh: Your trainer should change your exercise routine and shock your body on a regular basis. Your body adapts to repetitive training stimuli. Change your routine every few weeks. Try some new exercises, and change the intensity of your workouts. Insurance is Mandatory: Many personal trainers operate as independent contractors and are not employees of a fitness facility. You should make sure that the trainer you want to hire carries professional liability insurance. A. Where do you prefer to exercise? B. What time do you like to exercise? C. How many times per week can you exercise/train? D. How much time can you spend daily on exercise/training? This assessment will help you and your trainer to organize your #workout schedule. Regular Accessibility: Today trainers should be willing and able to answer some basic questions via email and text, and probably should check on your daily training and provide some ongoing motivation and support. Communication: From the first meeting you can probably determine whether the personal trainer listens to what you are saying. Make sure to pay close attention to how he or she behaves during your first session. If you say that you’re in pain – does he tell you to push on, or does he modify the exercise? You shouldn’t feel intense pain or discomfort after a personal training session. Yes, there is pain associated with first-time usage of muscles, but it should be minor. Trainers Should Track Your Exact Workout: Once your trainer comes up with specific, realistic, targeted goals, they should be written down. The trainer should write down all the exercises you will be doing, how many reps and how many minutes you will have to do each one, how many days per week, etc., as well as what you should be doing at home or at the gym on a daily basis. The trainer should also be charting all your activities. There are many apps that can help, and the chart or app should be used every time you work out – with or without your trainer. These numbers should be reviewed at least every four weeks. Take Regular Body Measurements: It’s really important to look at measurements in addition to the number on the scale. Most good personal trainers will take body measurements during your first session and at least every few months. 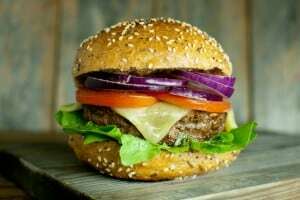 Here are some examples of what might be measured: neck, abdomin, waist, shoulders, hip, chest, thighs (mid), arms, blood pressure, resting and active heart rate, weight, as well as other fitness measurements See: http://www.dietdetective.com/weekly-column/are-you-really-fit. Keeping track keeps you accountable, which helps to tailor your workout and keep you motivated. Don’t Just Take the Trainer’s Word – Make Sure You’re doing Your Workout Correctly: There are many websites that have extremely helpful instructional videos on how to do exercises correctly. Discuss some of these exercises with your trainer, or ask him to take a look and email you a list of the ones he’ll be using so that you can view them online. The University of Florida has a site called Trainer Time, which offers instructional videos with personal trainers. See http://www.recsports.ufl.edu/fitness/personal-training/trainer-time/. One of the best video libraries is from the American Council on Exercise (ACE); see their Kick Start Workout Guide http://goo.gl/Srxtm and make sure to check out their complete library of great exercise resources: http://www.acefitness.org/acefit/exercise-library-main/. If you want to add yoga exercises to your routine, go to Yoga Journal’s extensive library here: http://www.yogajournal.com/video/level/beginner/.